Some chairs make you think about what seating is all about. How a blend of materials can coalesce to provide a seating experience beyond the particulars. 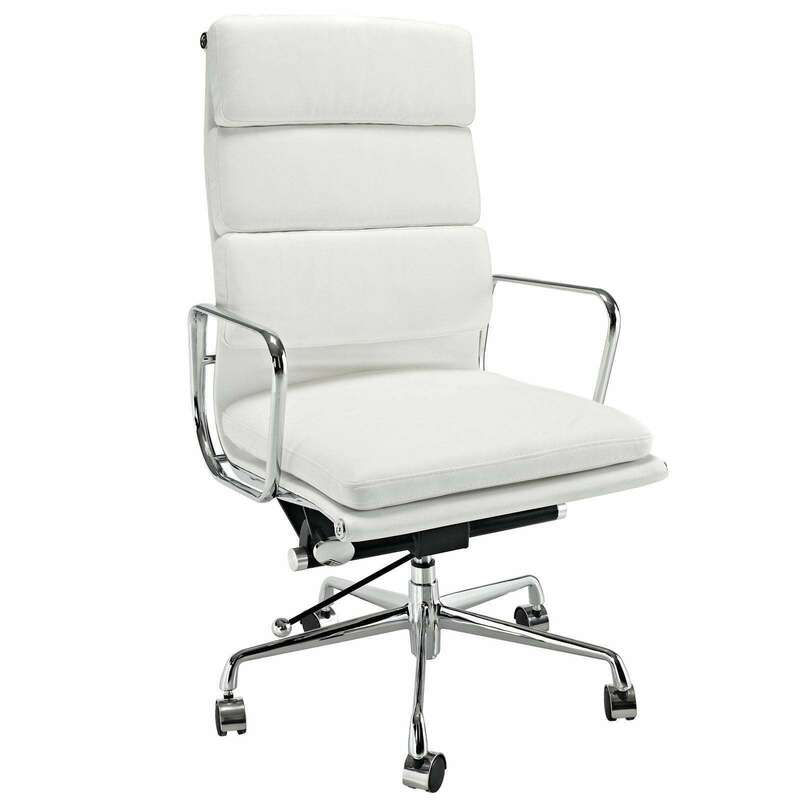 The Classic Soft Pad Office Chair epitomizes the “chair” as an artform in an exceptional way. Strolling down the corridors of memory lane can be foggy at times. But when a chair like this comes to the fore, all sentiments of what makes a chair a “chair” come sharply into focus. 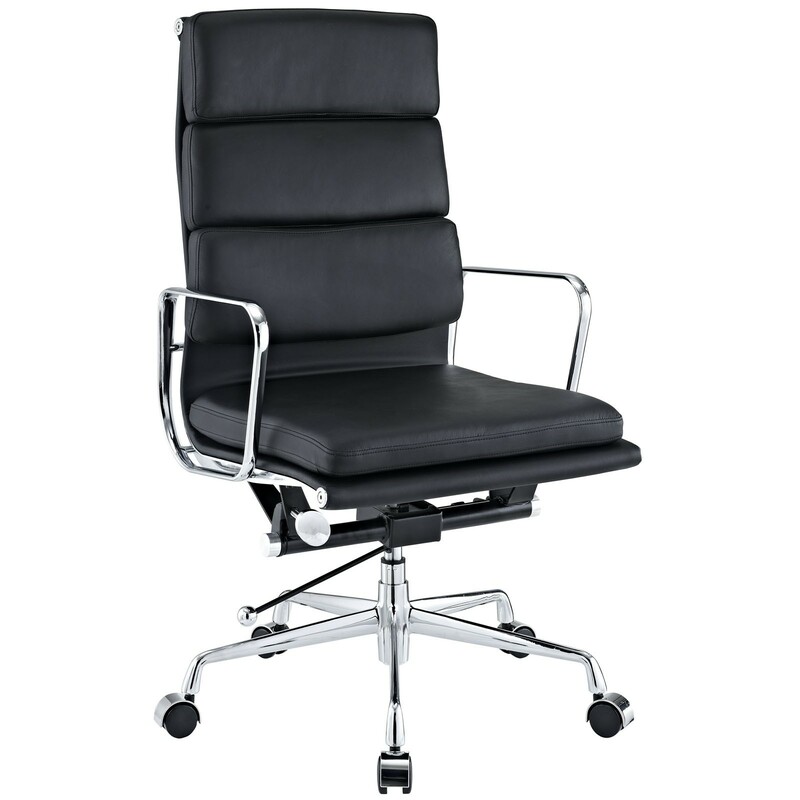 The Classic Aluminum Soft Pad Office Chair's back is comprised of two padded leather cushions. 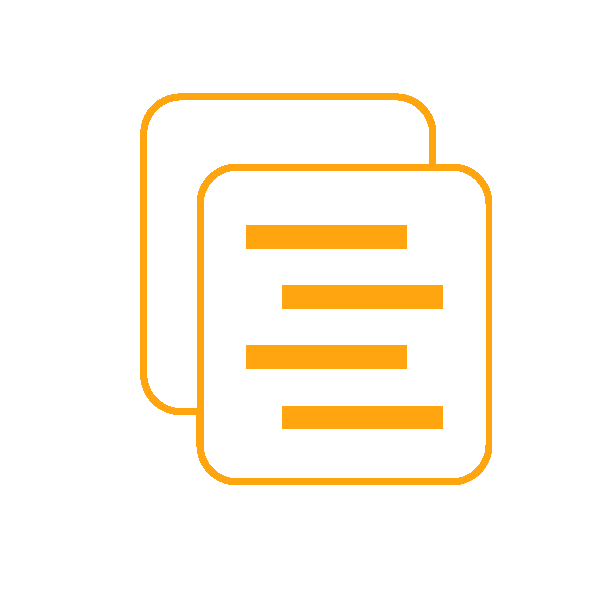 Side-by-side they support your back in admirable fashion. The padding on the seat is no less impressive. One could say it’s more pillow than seat. All stitching on these leather cushions is finely upholstered. 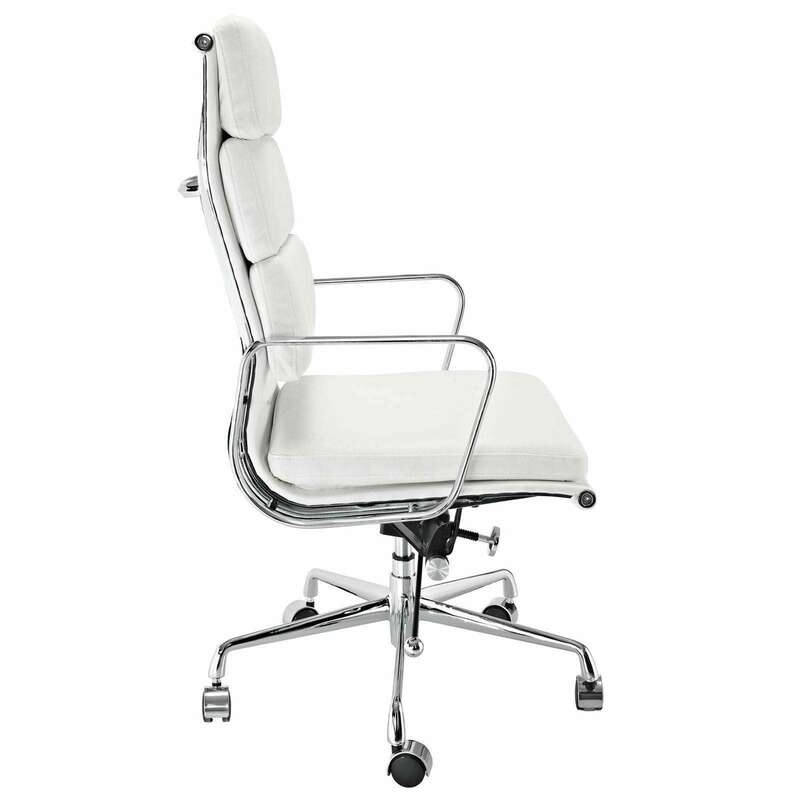 The chair is fully height adjustable with a 360 degree swivel and five caster hooded base. Known for its attention-grabbing sheen, the frame is constructed from highly polished chrome-plated steel. 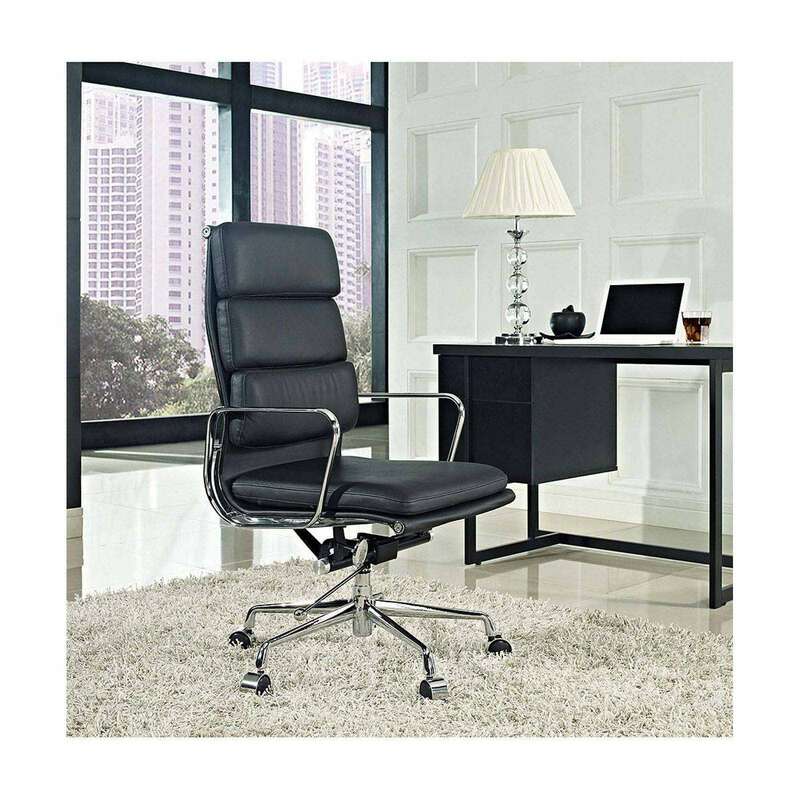 The Office Chair also comes with a tension knob and tilt lever for leaning back and forth as desired. There is also a tilt lock mechanism to keep your position in place. If you have a doubt about the emblematic nature of this chair, simply cast your glance to the stages of movie sets, news agencies and Fortune 500 companies. The look and style of Soft Pad Executive Office Chair is such that it commands appeal amongst the most impressive establishments in existence today.